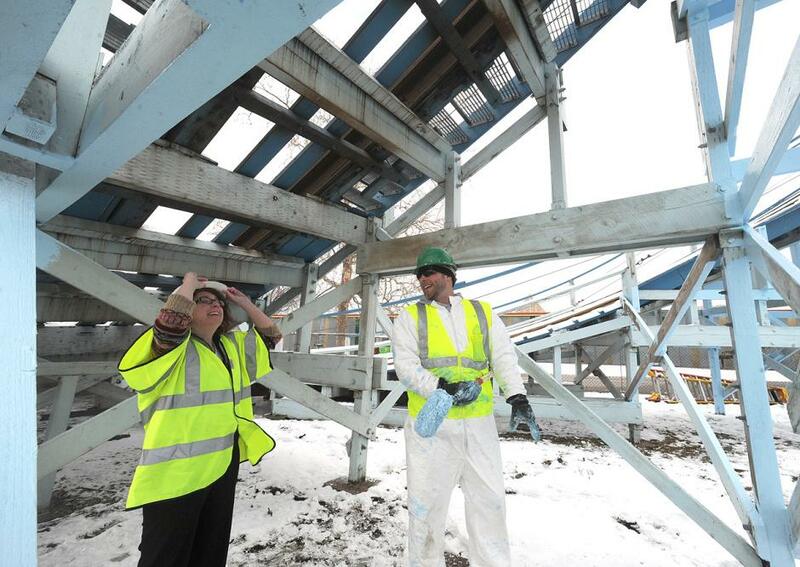 Workers at Lakeside Interior Contractors will exhaust every drop of 500 gallons of paint before they’re done painting the Blue Streak’s 2,000 feet of track. 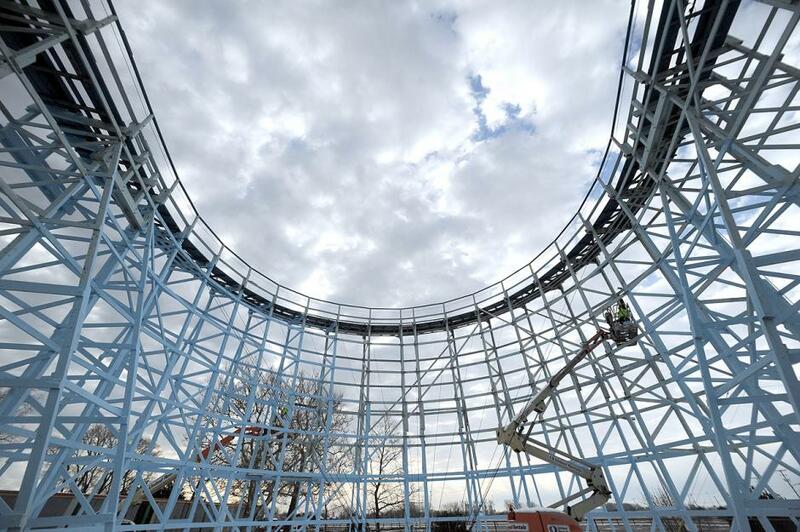 The coaster — the oldest one at Cedar Point — is known for its sky-blue skin, although the color’s official name is “Blue Bell,” said Kim McLennan, project manager at the Perrysburg-based Lakeside Interior. 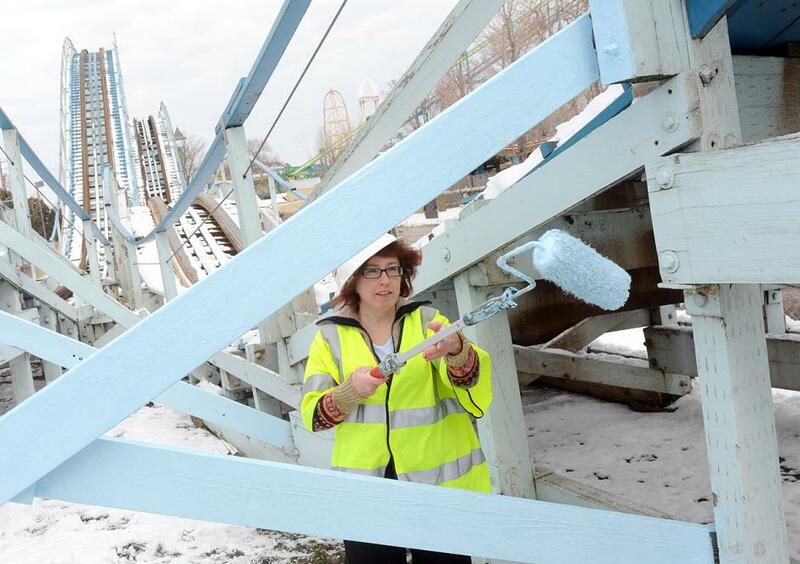 About once every seven years the Blue Streak gets a fresh coat of paint — partly to maintain its appearance, but also to weatherproof the wood. Is Cedar Point still America’s Roller Coast? A Six Flags park in California is the new roller coaster champion, but Cedar Point officials say the rival park wears a tarnished crown. Cedar Point says the park’s Superman: Escape from Krypton ride isn’t a roller coaster, and it shouldn’t be counted as such. The Sandusky Register interviewed three roller coaster buffs, all of whom disagree with Cedar Point — they say Escape from Krypton is a legitimate roller coaster. Last month Six Flags Magic Mountain in Los Angeles announced that with the opening of its newest ride, Green Lantern: First Flight, the park now has 18 roller coasters. That surpasses Cedar Point’s 17. But Cedar Point spokesman Robin Innes says Six Flags is stretching the definition of “roller coaster” when it includes Superman: Escape from Krypton. According to the ride’s official website, Escape from Krypton blasts riders along an L-shaped track that extends 415 feet into the air, giving them 6.5 seconds of weightlessness and plummeting them back to earth in a free fall. 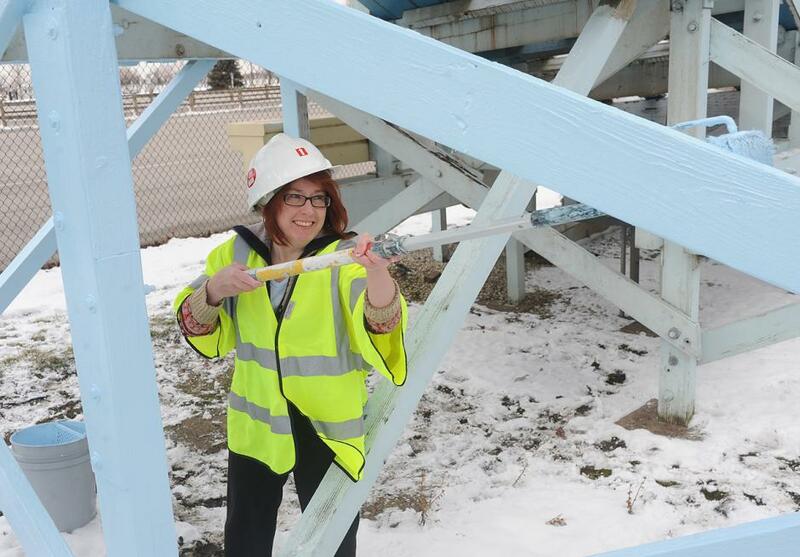 But the ride resembles Cedar Point’s Power Tower, Innes said, which lifts riders straight into the air. Cedar Point does not include Power Tower among its official list of 17 coasters. Innes also said the quality of Cedar Point’s coasters is second to none. Six Flags, meanwhile, isn’t jumping into the fray. A spokeswoman for Six Flags Magic Mountain, Sue Carpenter, did not return phone messages a Register reporter left Tuesday, Wednesday and Thursday. Still, roller coaster enthusiasts and people unaffiliated with the theme parks say it’s reasonable to classify Superman: Escape from Krypton as a roller coaster. I was in the park on Sunday, July 31st, when John Hildebrandt and Matt Ouimet came onto Millennium Force for a ride during early entry.